It's been quite long I have been unable to update my block. Although, time to time I have been also thinking to upload yet not getting enough time from my personal work as well as from other social network engagement and neglected my passion of sharing blog here. Comfort Women issues has been my area interest while am doing my M.phil in Korean Studies and I even wrote a term paper on this very issue. There was time I even thought of doing research work for my future studies , well it does not come out to be the way I had wished for but after 4 years all of sudden today what I saw in the Korea Focus Magazine made me fill uneasy and would like to share this whole articles to my blog readers. The given below article is copied entirely from the Korea Focus this month issue. “It still feels as if I`m in a dream. Why is this happening to me?” Takashi Uemura, 56, former reporter for the Asahi Shimbun, let out a deep sigh as he buried his head in his hands. There were no words of comfort to offer. All I could do was just watch him in silence. Amid the heated battle over the issue of wartime “comfort women” that is ongoing in Japan, Uemura is in a unique position. He was one of the first to write an article about Kim Hak-sun (1924-1997), a former comfort woman from Korea who was the first to step forward with her story, which was published in the Asahi Shimbun on August 11, 1991. The Japanese right have branded him a traitor for writing a “fabricated report” and causing immeasurable damage to the country`s national honor and interests. But to the liberals, who believe that resolving the issue of comfort women is the first step toward a better Japan and peace in East Asia, Uemura is their ultimate “bastion” that must not crumble. We met with Uemura at an office in Sapporo, Hokkaido on December 16 and 17. During the past year he helplessly endured vicious attacks leveled at him by right-wing groups while the Japanese government conducted verifications of the 1993 Kono Statement (considered a formal apology that acknowledged the involvement of the Japanese military in World War II sexual slavery of women from other countries). What we found through the interview was a distorted portrait of Japanese society. Q. You first wrote about Kim Hak-sun 23 years ago. What did you have to go through this past year as a result of that article? A. It all began in late January last year when the weekly magazine Shukan Bunshun published an article in its February 6 issue. The article titled “Former Asahi Shimbun Reporter Who Fabricated Reports on Comfort Women to Start Teaching at Women`s College” defamed my appointment as a professor at Kobe Shoin Women`s University starting in April. A few days later, on January 31, I received a call from the executive secretary of the school who asked to meet me, and on February 5, I met with the school`s vice president and executive secretary at a hotel in Kobe. Since I had not fabricated the article I was sure that if I explained everything they would understand. But when I handed them the materials that I had prepared, they said, “This is not a matter of the authenticity of the article. This is going to adversely affect our student recruitment as well as tarnish the school`s image.” It was most regrettable since I had not fabricated anything. My employment contract was revoked on March 7. I didn`t realize then that this was not the end, but just the beginning. Around the time right-wingers in Japan began their malicious attacks against Uemura, the Japanese media, including the Sankei Shimbun, started bashing the Kono Statement that acknowledged the forced mobilization of women for sexual slavery. It was a means of shifting the dispute over comfort women — a long-pending diplomatic issue between Korea and Japan — in their favor. On February 20, chief cabinet secretary Yoshihide Suga announced plans to set up a team to verify the Kono Statement, and on June 20, the team published a report that undermined the legitimacy of the statement. With the Abe administration dismissing the credibility of the milestone statement by former chief cabinet secretary Yohei Kono, right-wingers needed a target to vent their anger. Hiroshi Yamada, a Lower House member of the Party for Future Generations, who played a decisive role in the government`s verification of the Kobe Statement, even stated that Uemura should be summoned to appear as a witness before the National Diet. Even Hokusei Gakuen University, which had hired Uemura as a part-time lecturer, came under attack by right-wingers. Q. Why do you think you have become a target of right-wing groups? Q. How did you become interested in Korea and the issue of comfort women? A. In 1978, I entered Waseda University, and in 1982, the Asahi Shimbun. It was a period of tumultuous change in Korean politics. In 1979, President Park Chung-hee was assassinated and in May 1980, the Gwangju Democratization Movement took place. In 1981, Kim Dae-jung was sentenced to death (commuted to life imprisonment shortly afterward). When I was in college, there was a Korean-Japanese in my dormitory. He was a student at Seoul National University College of Medicine in the 1970s, but had returned to Japan for fear of being implicated in the espionage cases of Korean-Japanese students. Through him, I was able to learn about Korea and the discrimination against Koreans living in Japan. I traveled to Korea in 1981, and during my college years also took part in the movement opposing the death penalty for Kim Dae-jung. In 1987, I had the chance to visit Korea again for a year-long language course. The long dictatorship in Korea was drawing to an end and the country was beginning its transition to a democratic state. During the presidential election in 1987, I attended the campaigns of the candidates Kim Young-sam, Kim Dae-jung and Roh Tae-woo in Yeouido. (In October 1987) I also went to the inauguration of The Hankyoreh at YMCA hall in Myeong-dong, Seoul, and met Song Kun-ho (the newspaper`s first president publisher). When I began working as a city desk reporter in Osaka in January 1989, I was in charge of covering stories about Korean-Japanese and Koreans living in Japan. As a Seoul correspondent for the Asahi Shimbun, I covered Kim Dae-jung winning the presidential election in December 1997. Q. Right-wingers have branded you as a “fabricator.” What do you have to say to that? A. I did not fabricate the report. They have leveled harsh criticism at me claiming that I confused the terms “female volunteer corps” (yeoja jeongsindae) and “military comfort women” (jonggun wianbu), and also that I didn`t mention the fact that Kim Hak-sun had attended a gisaeng school before being conscripted as a comfort woman. But as many academics have already acknowledged, when the comfort women issue was first brought to light, both Korea and Japan used the two terms synonymously. 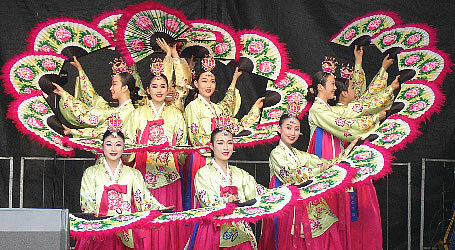 Also, a gisaeng school is where women were taught how to dance and play instruments at drinking parties, and it does not necessarily mean the women there ended up as comfort women. The Yomiuri Shimbun has been bashing me for those very reasons when in fact their articles written back then also mixed up the terms female volunteer corps and comfort women, and never mentioned that Kim Hak-sun went to a gisaeng school. Also, I never wrote that Kim Hak-sun was “taken forcibly.” Personally I don`t think that there was any forcible mobilization of comfort women in Korea, and any hard evidence of such has not yet been found. What Kim Hak-sun also consistently stated was not that she was taken by force, but that she was “deceived” and “went against my will.” In my article, I wrote that “women were taken under the guise that they would be joining the female volunteer corps when in fact they were forced into sexual slavery for the Japanese military.” When I say “taken” I don`t mean as the right-wingers contend that women were hunted and carried off like prey. I didn`t write a single article based on Seiji Yoshida`s account (that he hunted women on Jeju Island and took them by force), which was found to be false. Q. When the attacks by right-wingers were at its height, the Asahi Shimbun published an article that backed your reporting on comfort women. A. On August 5, Asahi published the outcome of its verification and confirmed that my article was not fabricated. I thought that I would be able to recover my reputation. But the attacks became even more vehement. That was the time when I was completely at a loss and felt all alone in the world. Things started to turn around when right-wingers began targeting my daughter. People were enraged that they would go so far as to go after a young girl. Supporters like Takashi Shinzai, 85, a former high-school teacher whom I had kept contact with, came forward and formed a support group. One citizen posted on Facebook an appeal to support Hokusei Gakuen University. All these were instrumental in turning the tide. Then on September 30, the Mainichi Shimbun reported that a literature professor at Tezukayama Gakuin University in Osaka, who was a former Asahi Shimbun reporter, had to step down due to mail threats. This prompted other newspapers, which had largely kept silent about my issue until then, to report that a similar situation was happening in Hokusei Gakuen University. Riding this wave, 444 scholars, lawyers and journalists from around the country came together on October 6 and formed the “Don`t Succumb Hokusei” gathering. And on November 17, Hokusei announced extension of my teaching contract for another year. Q. What have you been doing since you left the newspaper? A. The retirement age at Asahi is 60, but if you opt for the wage peak system, you can work until 65. I had been accepted for a professorship at the women`s university in Kobe, so I left the newspaper at 55. But my only source of income at the moment is the small fee I get paid as a part-time lecturer at Hokusei Gakuen University. I started a doctoral program at Waseda University at 50. My dream was to write and teach students in college. Many reporters in Japan wish to become a professor, so professorship positions are highly competitive. I made it to the interview round a number of times, but each time, the comfort women article became an obstacle. After many attempts, I was finally accepted at the women`s university in Kobe. I worked as a correspondent in Tehran, Seoul and Beijing, and have written many books. But even if I complete the doctoral course and get a degree, I know it will be difficult for me to find a teaching job at any university. I`m seized with fear when I think about that. Q. What are your views on the recent situation in Japan? A. I am a patriot. I love my country, and want it to become a respected country in Asia. In order for that to happen, we need to apologize to our neighbors when an apology is due, and rectify things if that is what is required. Without properly liquidating its past, Japan cannot earn the respect and trust of other Asian countries. Japanese society today is distorted. When I wrote the article about Kim Hak-sun, I was 32. I remember writing, “Fifty years after the end of the Pacific War, we are slowly beginning to shed light on the dark side of our history. Ignoring this would be turning our backs on and refusing to help the old ladies [former comfort women].” This is also what the young Uemura is saying to the 56-year-old Uemura of today. Until now I have deliberately tried to evade the issue of comfort women, but not anymore. I`m not going to look away, but confront it. Since I have nowhere to run, I have no choice but to face my attackers head-on. There are certain groups in Japan that are launching assaults against those who are trying to face up to our dark past. But there are also those that refuse to submit to such threats and continue to voice their opinions. More than anything, I`m happy that I will be able to continue teaching next year. I did not fabricate the article. I will remain undaunted in the face of undue attacks and continue fighting to the end.